Athletics are a vital part of life at ACLC, both at the middle school and high school levels. Physical Education is part of our school's core curriculum, but our learners' passion for excellence and sportsmanship is evident in their outstanding performances beyond traditional PE. 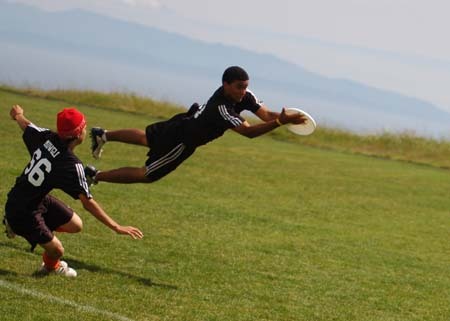 The fast-moving sport of Ultimate Frisbee is a long-standing tradition at ACLC. The community-building, "every-one-plays" attitude of the sport is a perfect fit with our school. Our teams, which call ACLC home but welcome players from all over Alameda, include High School and Middle School co-ed teams. Our High School team "Dark Meat" won its 8th consecutive high school California State Championship in 2012. Our Middle School team "Junior Meat" won the first middle school California State Championship in 2014. With the growing popularity of Ultimate Frisbee, the team is bigger than ever and we were given the opportunity to partner with Bay Area Disc Association, who helped us hire a great coach, a professional player from San Francisco who has been wildly popular with the players. Ultimate combines the best features of soccer, basketball, football and netball into an elegant, yet demanding, non-contact sport played with a flying Frisbee disc. It is considered a swiftly “emerging” sport at high school and middle school levels, especially in California. Ultimate is the fastest growing college sport and is already played interscholastically at over 500 colleges and universities - there are more colleges with Ultimate teams than football teams! A 2006 study across all private national universities showed that their ranking in Ultimate Frisbee edged out both SAT scores and grades as a predictor of academic performance and graduation rates. Self-refereeing and an emphasis on the “Spirit of the Game” help Ultimate players develop leadership skills, good sportsmanship, all-around athleticism and lifelong friendships. In addition to Ultimate Frisbee, ACLC's middle school participates in combined teams with their sister school, Nea, in Volleyball, Basketball and Track. These teams compete with other Alameda middle schools according to regular seasonal sport schedules. At the high school level, ACLC is part of a Multi-School Sports Agreement with the Alameda Unified School District (AUSD). 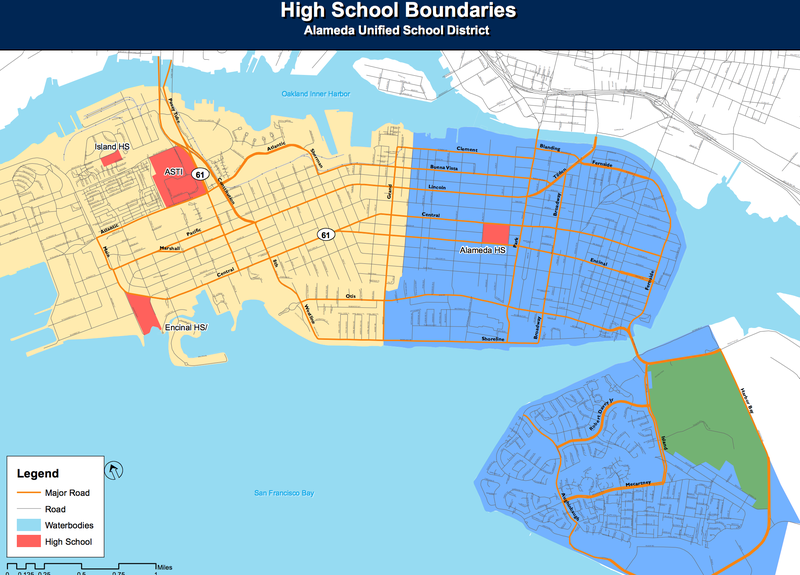 This Agreement allows charter school students to participate on sports teams with either Alameda High School or Encinal High School based upon their high school residency zone (see color-coded map below). 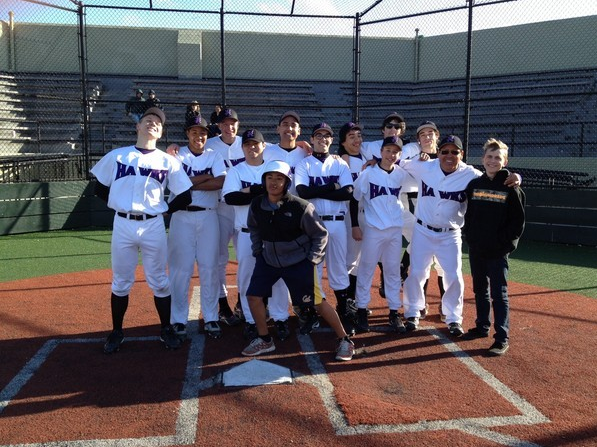 The story of the ACLC Hawks Baseball Team has become legendary around Alameda. During the 2011-2012 school year, while the Multi-School Sports Agreement was not in place, some determined ACLC learners took it upon themselves to create their own varsity baseball team and compete to the best of their abilities.